Our nutritionists are always talking to the children about the importance of breakfast, especially during term time when they need energy to power their brains! But, it’s not just important to eat any old thing to kick-start the day, it’s essential that breakfasts are nutritious and do not contain too much fat or salt. Keep an eye out for sugar too; sugar is often hidden inside cereals so always remember to check the labels! There are many breakfast options, but some are a lot more nutritious than others – achieving a balance is very important. If you’re short for time in the mornings and don’t have time to grab a bite to eat as a family, then why not check with your school to see if they have a breakfast club? This way you can rest assured that your child is starting off the day the right way! 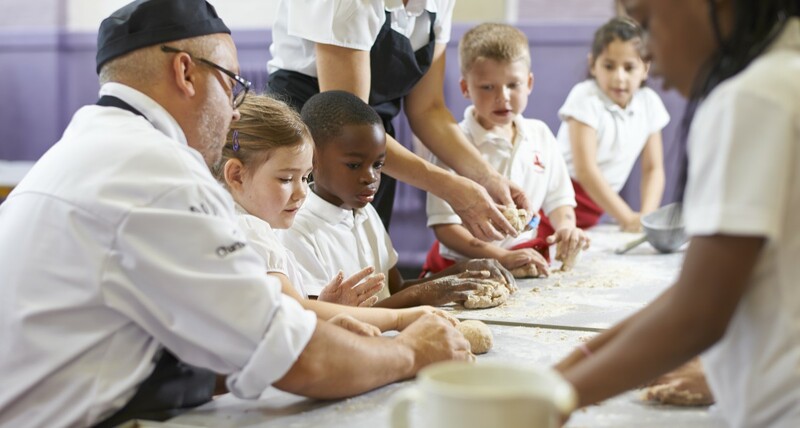 We’ve made a start on the Autumn / Winter menuFree School Meals – There’s no catch, honest!